Tony Blair's strong start to his third term, with his role in capturing the Olympic Games for Britain, his statesman-like handling of the aftermath of the terrorist attacks on London, his promise of a new start to the European Union and his leadership of the G8 summit at Gleneagles, has brought his relatively lacklustre second term into sharp relief. The second term should have been the time when New Labour fulfilled its manifesto promises. So what changed between 2001 and 2005 and what was achieved? How far was Blair himself responsible, and what was Gordon Brown's influence? What was the impact of the Iraq war? And what of Blair's policy towards Europe? 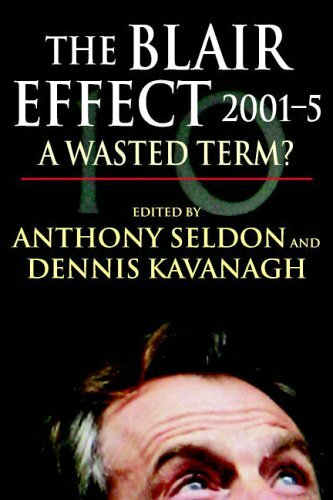 Anthony Seldon and Dennis Kavanagh gather together leading academics and journalists to provide an authoritative assessment of Blair's second term, including a review of New Labour in government from 1997 to the present.